Hello again EC&I 834 classmates and faithful blog readers. Do not ask me where the last three plus months have went as I am baffled. My sweet little baby is already six months old and this semester is coming to an end. Hard to believe I know. This is also my 8th Masters course coming to an end. I have gained so much insight from taking this course about online learning, I feel comfortable using many different content creation tools. We have had the chance to explore a variety of online and digital resources that I would have not otherwise know about without the help of Alec and Katia. I think one of my favorite part of the course was evaluating classmates prototypes. Doing the evaluations gave me so many new ideas and different content creation tools to experiment with. For my Summary of Learning I chose to use a Digital Storybook creation tool called StoryJumper. I came across StoryJumper while creating my module for my prototype. I liked that StoryJumper allowed me to import my own photos or images and also narrate the pages. There are a few different options in term of sharing your book or there is an option of buying it. This storybook creation tool would be an awesome way for students to share their ideas or even to present a final project. The option for printing or buying it would also make a great keepsake. So here is my creation, make sure to hit the play button underneath the pages to hear my narration. Hello classmates and blog followers, I figured I would present you the final product, My online course that my group developed for this class. Oh yeah and this is also the world’s longest blog post! !I wanted to walk you through information about our prototype, our rationale, curricular links, assessment, and common concerns. I will also provide you links to previous blogs that contain information about how our group decided to go with the LMS Google Classroom and also other elements that influenced our design. Our group came together and rectify a few changes that needed to be done and also a composed a response to feedback. I will end the blog post by providing you the link so you can check out the course if you are interested. This blended course is suited for grade 3 elementary students of all backgrounds. It is a mix of synchronous and asynchronous learning. For a learning management system (LMS) we choose to use Google Classroom, as well as various content creation tools. Students and teachers will communicate using Google Docs and Google Classroom, through the creation of questions and announcements. The assessments will contain a specific rubrics for each assignment that are aligned with outcomes in grade 3 social studies, arts education, science and English language arts. TR3.1: Examine the relationships between First Nation peoples and the land, before and after the signing of treaties. individual research or collaborative inquiry. and culture in which it was created (e.g., heritage harvest dances). communities participate in the arts and discuss why they do so. PL3.2 Analyze the interdependence among plants, individuals, society, and the environment. with plants and plant-related products. RW3.1 Appraise the ways communities meet their members’ needs and wants. b. Identify how individuals and communities meet needs and wants. are met (e.g., food and water, shelter, clothing, education, safety). Our assessment strategies include using the Saskatchewan Curriculum Project Chrome extension to create rubrics specific. Formative assessment would be done using EdPuzzle. informal assessment of Google Classroom posts in a forum style is assessed on participation in the area of interactions with other students and the teacher. We have considerations for common concerns. Low bandwidth is a common challenge for any educator using technology in the classroom. Typically, each student will open up a lesson from their own device, but in the end that could be as many as 30 videos simultaneously streaming on a network that might only be able to handle a few. We have no real solution for a school that has similar bandwidth as the average home, even though obviously there are so many more times people at school as there are at home. Students can have access to devices such as school ipads, personal devices and computer labs during school hours. Since it is online students who are absent can access Google Classroom from home. 1:1 devices would not be required to complete the artifact creation. Flipped classrooms can be used so assignments are done in the school where students have access to programs, and videos can be watched at home or during breaks. We account for differentiation through various levels of assignments in Adobe Spark, as well as audio versions of stories. Why did we choose our LMS? Google Classroom is used in Regina Public Schools, as well as many other divisions. It is free and is easy to use. It is an LMS that students in grade 3 are able to use with lessons. Google Classroom allows students and teachers to interact. Assignments can be posted and completed on Google Classroom. Student progress can be tracked and teachers can assess on Google Classroom. In creating content for this module a variety of tools were used, the tools are appropriate and easy to navigate for young learners. For each step of the lesson I have tried to be thorough in explaining how students should complete tasks with tutorials for each new medium. For the introduction to the lesson students create a collaborative Google Drawing. I added a brief Screencastify as a tutorial for Google Drawing. I also chose to have students create Google Docs so that they could submit their assignments to me, again I created a Screencastify to familiarize students on how to create a new Doc. I created a Voice Over PowerPoint for students to respond to using an Adobe Spark page. I also made a Screencastify to help students in creating their Adobe Spark Page with instructions about adding open commons pictures. For the extension activity I created a Screencastify to teach the students how to use Story Jumper to create a Digital Storybook. I feel that this variety of content creation tools will enhance the student’s learning outcomes for this unit on Treaty Relationships. After completing module one students will be able to recognize the land provided everything the First Nations people needed to survive. Overall our feedback was quite positive. Our fellow teachers enjoyed the topic we choose. They commented on the variety of content creation tools we used to bring our module to life. They thought our organization was great and everything flowed together. Our reviewers thought our prototype was a great starting point for them explore treaty relationships. Our reviewers mentioned they could take the components of our modules and would be able to incorporate this resource in their own classrooms. However, we did find some themes that we need to change such as difficulty level, LMS issues, assessment, adaptations and interaction. Difficulty Level: One of the concerns addressed in our feedback was around the reading difficulty. Some reviewers were concerned with the amount of text for Grade 3 students. This course is a synchronous blended course that would allow for teacher to facilitate the course face to face and guide students through modules perhaps in a center type rotation. Students will already know how to use google classroom and tools being used such as procedures for the computer. LMS issues: Another concern that was addressed was the choice of LMS (Google Classroom) that may have not been the most easy to use with Grade 3s. Google Classroom is being used as the central hub for a variety of tasks. Students complete very few assignments on Google Classroom, so in terms of visual appeal, it is meant to be less distracting. Assessment: The amount of rubrics provided to the teachers for lessons within the modules was also mentioned by our reviewers. Students will receive both formative and summative feedback, and the rubrics are part of this feedback. As this is a blended course, students will have many opportunities for feedback from the teacher. Adaptations: Some adaptations were not addressed (EAL, attendance issues). Additional screencasts could provide verbal an explanation of the assignment for low readers, perhaps working in pairs would support low readers, also simplified versions of assignments for EAL students. Module 3 involves reading a text, and this allows for differentiation for diverse learners. This differentiation is built into the assignment as is with the books that are listed. Students with attendance concerns could complete assignments at home if needed. Interactions: Lastly, some reviewers remarked about ways students would interact with others. Teacher-student and student-student interactions can be done on google classroom. With the age of the students, we needed to address also the abilities that they have and the forums that would allow young students to share with an audience. Interactions needed to be controlled and monitored to ensure there were no violations in privacy and terms and conditions. How were the historical worldviews of the British Crown and the First Nations different regarding land ownership? How do First Nations and Saskatchewan people benefit from Treaties 2, 4, 5, 6, 8, and 10? How did the use of different languages in treaty making present challenges and how does that continue to impact people today? Wow, hard to believe that my course prototype is ready to launch. It is even crazier to think that the semester has flown by so quickly, when it’s over I will have another 2 classes under my belt. I decided that I wanted to finish up Grad School before I returned to teaching in August from my maternity leave. I will also attempt a spring and then a summer course and tada, I will be finee, I will level up with my Masters Degree. On a side note I can’t believe my baby is six months old, where have the days gone. Aimee, Justine, Rochelle and I decided that we wanted to focus our course prototype on Treaty Relationships. This subject can sometimes become difficult for teachers to implement in their classrooms. I personally think that now is the time for reconciliation because there is so much ignorance and mis-education when it comes to First Nations and Treaties. Also, working in a school that is home to 97% First Nation students is reason enough to explore First Nation culture. I am looking forward to exploring another groups course prototype in just a few short days. It will be very helpful to receive some constructive criticism about our prototype, this will help us improve. I am not worried about being evaluated by my colleges as we are the guinea pigs for this EC&I 834 course, this is the first time that it was offered by Alec and Katia. I have definitely learned a lot in terms of how to get a LMS up and running. I had never worked with Google Classroom before and found it very simple to use. I was even more shocked that I could have been using it for awhile with my Division but was never given any training on it or was it even mentioned as an option. My school uses Google Docs and Google Forms quite often but again I was unaware of Classroom. However, my step daughter spoke about using it in her high school. Perhaps, I should have just Googled it and I would have figured it out for myself a year ago. I mentioned in a previous blog about how I was using Google Docs with my students and it was becoming redundant in terms of creating Docs and having them share assignments with me, and basically my email inbox busting from student work. After this course I am very comfortable working with Google Classroom and feel that I will continue to create courses with it. After we decided to use Google Classroom as our LMS, it was just a matter of how and what I wanted to do with my module. I had a few ideas in terms of lessons and just like my life I tend to overthink it and make it very complicated. My module grew to be something more than one lesson, maybe one lesson with four parts. It just seemed to flow so nicely together, I could not stop. I decided to make a few Screen-casts to familiarize students with Adobe Spark, Google Docs, Google Draw and Story Jumper, as for original content I used a Voice Over PowerPoint. I had never used some of the content creation tools myself so doing screen-casts allowed me to gain more experience in it. After I got the hang of all the new stuff that I was dabbling in, it wasn’t all that terrifying. In fact, I was even excited to use Screencastify, and show off my new learning to my step daughter, she wasn’t as excited as I was. I think that my group did an amazing job tackling Treaty Education. It will be awesome to find out what other think about it too. If you are interested in taking a peak at our Grade 3 Treaty Education Prototype in Google Classroom send me an email at Chalyn_s@hotmail.com and I will provide you the classroom code. Oh and an after the fact edit, our teacher information, rationale and rubrics can all be found in the about section of our Google Classroom. What a title hey? I started thinking about how this course allows for us to have open communication versus having a closed forum, then I though about the door for learning being opened or closed. I like to sleep with my bedroom door open but my husband prefers it closed. I guess that having communication forums closed could be a preference for some people but just like my bedroom door, I like it open. As a learner I have not had much experience outside of this course in terms of open online space. I appreciate the Google+ Community for so many different reasons. I love being able to post a quick question or even a fabulous article or medium that I feel reliant to our course. Our Google+ Community is so supportive and helpful of one another, I find that just by reading different posts it saves me from running into common pitfalls. So far I have taken eight Grad Courses and feel that a Google+ Community would have been an asset to all courses, it allows us to pose different questions, share insights or ask each other for help as needed. University students are often given information in UR Courses but I think the experience would be so much different if there were a way to allow students to communicate in an open space. I think that our course has really come alive with the use of the Google+ Community. The community can offer us so much more than what is being taught in the course. Allowing students to become each others’ co-teacher. Our blogs have also allowed us to learn from others, Amy mentions that “we learn from others’ perspectives while considering our own”. I agree with Ashley that we must consider the age of the students when we decide to use an open or closed forum. I definitely think that younger students should have closed forums in order to protect them. Although, I think that allowing parents, caregivers, or even classmates the opportunity to comment or share would allow for meaningful learning. Amiee also mentions that student safety is a valid concern for educators. Shes also points out that students may have already become immersed into social media, but we should still consider that we are putting them into a wide open public space where we may not always be able to protect them in an open forum. Although, educators such as myself have to realize that students are developing their own digital footprint, this is where we have the teaching moments! I think that teachers can help students understand that there is no going back once pictures or even text hits the net. Like Ashley, I too have enjoyed the break from blogging and being able to focus on my content creation has been wonderful. My group even had time to meet up last week and go over some of the fine tuning of our course prototype. I feel that my group has made some great strides in getting our course up and running. I know that with just a little more tweeking my module will be up and running. Have you ever experienced any negativity in using an open forum? Hi Friends, This week I wanted to give you a bit of a run down on how I intend to facilitate my Blended Course. These are just my preliminary ideas and are possibly subject to changes, as I find I am learning more as I go. 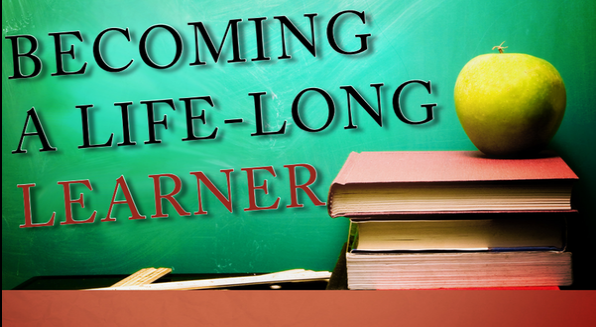 Sarah has some fabulous ideas in her blog this week in terms of establishing boundaries and participating for her older students. Although, I think that working with young grade 3 students there is only a need for pre-teaching about “Netiquette” and digital citizenship. Choosing this form of student interaction is beneficial because grade 3 students are smart and full of great ideas and they will be able to share their thoughts with their peers online. Perhaps there is a way to moderate as the facilitator so that student blogs and comments can be reviewed before being posted. I also like the idea of commenting on students post, they will see that the teacher has read and thought critically about their post. I thought that I would check out the hyperlinks that were found in the document Mastering Online Discussion Board Facilitation for some assessment ideas. I was very disappointed to find out that all the hyperlinks that I tried were broken. I think that it is very important when setting up a Blended Classroom for students to make sure that all links are working. By not checking for dead links an educator can run into a lot of wasted time in terms of having students refer to a link provided. Well this is my starting point, oh yeah and rubrics. 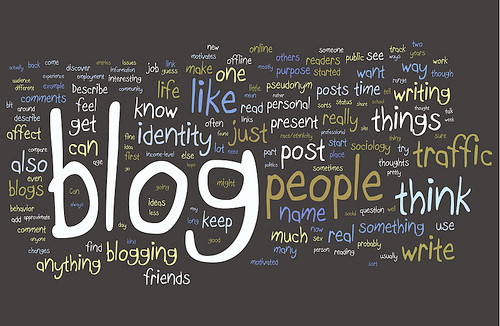 Have you ever used a blog platform in your classroom, which one? Hi friends, It has been awhile. Reading week has given me some time just to relax and catch up on a few household things, oh yeah and my baby turned 5 months. I decided with my time that I would ask my group “who would like to take the lead and create the Google Classroom account“? I decided rather than send that email, I would just take it into my own hands. I recalled that as a group we couldn’t use the RBE Google Classrooms because one of our group members is with another division. I decided the best place to start would be to reread the Google+ Community posts to use the to figure out how to use the education.uregina accounts. I scrolled through all the posts and managed to find what I was looking for. Ohh and now looking back, there is a search option at the top. I then went to create the Google Classroom account, all went well, or so I thought. Setting up the initial info was just a matter of filling in a few feilds and a few clicks. I attempted to invite teachers to my class by adding my group members using their email addresses. My first road block was that they were not contacts, so I went back to the Google menu and added them. I then tried to invite my new contacts again, and it wouldn’t work. I then realized I would have to track down their uregina user names. Aimee replied to my email right away and I added her as a teacher, and voila it worked. Now just to wait for the other two gals!! Tell me if you ran into any road block while trying to get your project up and running! This week our blog prompt asked us to look at pedagogical differences of various types of media. Like many other classmates, I will be looking back on my experiences as a student. I have always been challenged by reading text. As a child I struggled learning to read, my mom even hired a reading tutor to alleviate my frustrations. Stephanie mentioned that in her undergrad she began to enjoy reading, for me the opposite I struggle reading chapters, my eyes get heavy and it all turns into a blur and I want to fall asleep. I even experimented with Kurzwell, having it read to me, but the voices were too boring and I had a hard time following what was being said. Roxanne’s post, made me think back to my use of technology in my schooling experience, I recall having Mac computers in elementary school but we rarely used them. I did manage to figure out how to use the Printshop program to make cards, banners and certificate. In high school, I took a typing class but we used a typewriter and created cartoon pictures by following written directions of letters and spacing. Although I do recall, my English teacher had us go on the computer and practice typing with these boxes over our hands so we would learn where the keys were, I remember her saying hands on home row. I did sign up for a Practical Applied Arts in grade 11 and 12; I managed to do all right in the computer class rotation. We had small assignments such as internet scavenger hunts and sending emails. I still use my Hotmail account that I created in that class, and lucky for me it was not dorky like powerpuffgirl@hotmail.com my younger cousin had to change his as his first email account was spongebobjtd@hotmail.com. Teachers really did not incorporate much media into their classes maybe a video or a film on the old projector. I automatically thought of how Ms. Frizzle takes the students on an adventure but we the audience learn through media exposure to the video. I believe that Roxanne makes a valid point that teachers need to be incorporating more technology and media into the classrooms, there is never enough. By allowing use of media and technology in the classroom it gets students ready for the real world and come to understand and explore the internet in a safe guided manner. Like Roxanne and Loraine I use Kahoot for changing up quizzes and assessment, Kahoot allows me to check for understanding while talking through correct answers. The students even asked “can you make a Kahoot” or even to create their own. As an adult learner in an online class, I am finding that technology is allowing me to connect and create with others who are not even near me. I enjoy everything that Alec and Katia share, I am also forever learning from my peers in the Google+ community. Well friends please let me know which media type you learn best from! Even better share an media learning experience. Extra, extra, read all about it…… or just watch the video! Hello friends, this week I figured I would check out all the hype with the content creation tool Adobe Spark. I had a lot of fun playing around making my own Adobe Page. I used it to present my findings. It was super simple and easy to share to my blog. I would say that I played around with it for about 30 minutes. In that time I walked away from my computer and it saved my page for when I came back. I also made a post. It was super simple, I found a quote and with just a few pushes of a button, I was able to create this cool looking meme. Adobe Spark is pretty cool. You can easily upload to Facebook, Instagram, Twitter or just use it as a photo editor. I hope you find a few minutes to check out Adobe Spark. From this moment forward I would much rather use Adobe Spark than Powerpont or Prezi. I find Powerpoint to be so very plain and Prezi makes me motion sick haha! Let me know your experiences!! I see Google Classroom in my future, do you? I wonder if all RBE teachers know that they have access to Google classroom, did I miss the memo. Someone should have provided some information on this. Not a single teacher in my building was using Google Classroom last year, I can’t speak about this year I am at home on a mat leave with a new baby. How did other RBE teachers find out about the availability ??? Our group plans to work together to create our modules, lessons while also uploading evaluating methods onto our Google Classroom site. The Google Plus Community clarified that we need to use the university’s Google Classroom as Justine is not in the RBE division and would not have access to RBE’s platform. By each having access to our Google Classroom, we will be able to collaborate ideas even though we are physically apart. Before I even ventured to check out Google Classroom Roxanne’s Blog caught my eye. I like how she added the video that gave a brief overview of Google Classroom. Her video had me searching for others, perhaps I could learn more about Google classroom by video. I really liked Jamie Keet‘s video. After watching the video’s I am feeling pretty safe about my choice of platform. I can’t believe that I was using Google Doc’s when I should have used Google Classroom all along. The setup is very basic if you are familiar with Google Drive then it’s very similar. I love the simple layout with the options of customizing themes but still keeping it neat and tidy. Take a moment to watch the video and then jump in and try it out using the login info from last class if your division does not have Google Education Apps. Share your experience with me by leaving a comment! Omg too crazy, and ohh I have an idea!!! Okay about the OMG too crazy, it all started when Danielle commented on my blog post last week about being a new mom and collaborating this semester. I replied to her and mentioned adding her to a Regina Facebook group for fall babies, as I just recently added Justine. Danielle’s stealthy skills allowed her to find me on Facebook. Last night we chatted through Facebook messenger and we quickly learned that our babies are the same age. Danielle put it together that they actually share a birthday, and we were at the hospital at the exact same time. The babes were just born 12 hours apart. She then went on to say that she was already in the Facebook group for fall babies. Danielle connected that we are even taking the same Wednesday night class together. This gal totally gets me, talk about collaborating!! Then I checked out her Blog. Danielle has been blogging for quite some time, it is apparent from all her categories and tags. She is even blogging about our EC&I 814 class. I am sure if anyone has any questions about WordPress, Danielle has the answers. Side note, this old laptop surprised me with how easy it was to capture a print screen. At first I used my cell phone to take pictures of Danielle’s and my blog but it looked like garbage. Then I did what anyone would do, I googled. I managed to make my pictures way more appealing to my audience, woohoo! A huge upgrade from some of my other blog posts last year, where I would upload cell phone picture. Yay me! Now for my idea for the course prototype project. I asked a colleague of mine Aimee if she would like to pair up, I then asked if Justine would like to join us. Aimee, Justine and I are all Elementary teachers and wanted to incorporate a First Nation focus. A few days later Aimee asked if Rochelle could join our group as she had some neat ideas for us to explore. I told the gals that we would jump in the Zoom room rather than meet up. I liked the idea of a Zoom meet as I have a lil babe who likes to keep me at home and I know Justine also has a wee babe and lives about an hour away. During our Zoom meeting we decided to explore a unit on Treaty Relationships. I personally think that now is the time for reconciliation because there is so much ignorance and mis-education when it comes to First Nations and Treaties. Also, working in a school that is home to 97% First Nation students is reason enough to explore First Nation culture. Rochelle mentioned that she did some work with the Office of the Treaty Commissioner this summer, breaking the lessons in the treaty kits down into big ideas. Our group is going to tailor the unit for a grade 3 group. We figured that Google Classroom would be a great platform for us to use as it offers a blended learning environment. Well that is it for now. If anyone has tips on Google Classroom, please share as I have never used it before. Also please share any experience in teaching the treaties in your classrooms.